Sitaram Yechury said PM Modi has “demolished institutions and economy of the country”. 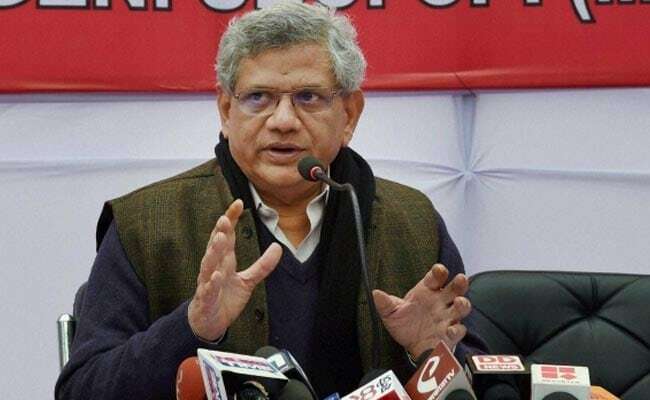 CPI (M) general secretary Sitaram Yechury on Wednesday lashed out at Prime Minister Narendra Modi for criticising the party-led government in Kerala over the Sabarimala row and claimed his statements amounted to “contempt of court”. Addressing a gathering of BJP workers in Kollam on Tuesday, PM Modi had said the conduct of Kerala’s CPM-led LDF government on the Sabarimala issue would go down in the history as one of the “most shameful behaviours by any party and government”. PM Modi had also said the Congress and Communists were talking about gender justice in the Sabarimala issue but their actions were “just opposite”. Mr Yechury condemned PM Modi for his remarks. “He charged the elected government in Kerala with not paying attention to public sentiments. The issue was that the Supreme Court has ordered that women (of all ages) be given equal rights as far as entry in Sabarimala temple is concerned,” he told reporters. “No elected government has any other option but to implement an SC order. Now the prime minister of the country is saying why the Supreme Court’s order was implemented,” he said. Mr Yechury said the prime minister had taken oath of the Constitution, which said the apex court’s orders have to be implemented, especially by the elected governments. “We believe the PM’s speech amounted to contempt of court. Now the Supreme Court has to take cognisance about this, but this doesn’t look possible,” he said. The veteran Communist termed PM Modi as a “demolition man”, saying he has “demolished institutions and economy of the country”. Mr Yechury alleged the RSS and the BJP were violating law in Kerala and had turned Sabarimala into “Ayodhya of South India” by polarising people on religious grounds. 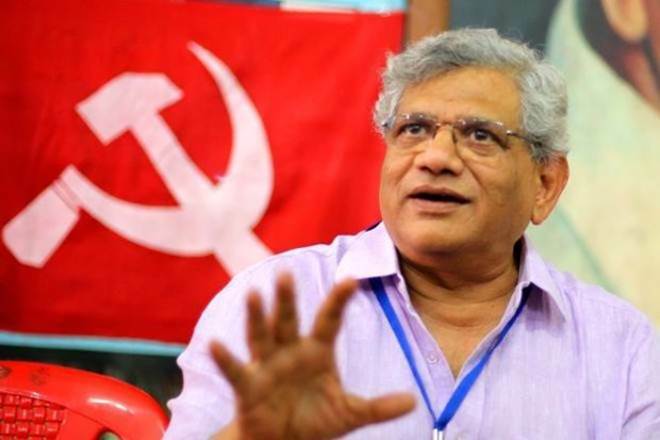 The CPM leader ruled out any national-level pre-poll alliance with the Congress and favoured state-specific tie-ups to take on the BJP in the upcoming Lok Sabha elections. “Those against Modi ji are facing legal action,” Mr Yechury said when asked about the chargesheet filed against former Jawaharlal Nehru University Students’ Union (JNUSU) president Kanhaiya Kumar and others in the 2016 JNU sedition case.